The TaylorMade M2 Driver 2017 is designed with a 6-layer carbon crown that saves a ton of weight to force the center of gravity lower and further back ibn the club head for higher launches and the furthest carries. The Speed Pocket is 3x deeper than previous models for even more face flexion that produces higher ball speeds, less spin and maximum forgiveness. The Geocoustic technology features an advanced sole shape and recessed toe panel for added forgiveness and incredible sound. TaylorMade M1 Driver features a 4* adjustable loft sleeve. 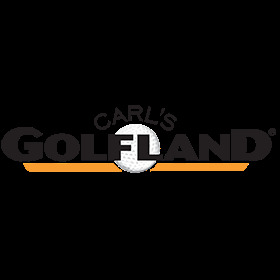 I would use Carls again when I need additional golf equipment. Recently bought TM M2 drivers. They are simply great clubs. I love this club. The club came very well packaged and on time. It’s not any longer off the tee than my older Taylor Made SLDR but definitely more forgiving, exactly what I was looking for. It provides a penetrating ball flight when hit in the sweet spot, much more than my previous drive. Q: What is the length of the senior flex driver? Q: Does the M2 have the " inverted cone ( ICT ) incorporated in the face like the M1 and does the M2 have an Aluminum ( 4 degree ) loft sleeve like the M1 . A: Yes the new 2017 M2 driver has inverted cone technology and a 4* loft sleeve for adjustments.